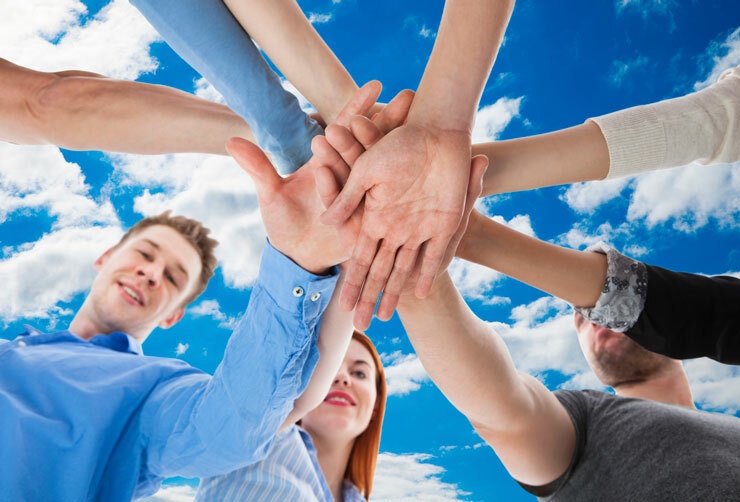 Part of the process of building a strong company culture is the empowerment of employees. They must be able to think and act independently without being told what to do in every instance. They must understand your expectations and share your values with customers. They need to understand how you want customers to perceive your commitment to the customer, and – here’s the hard part – your employees need to embrace these values. How else can they communicate these values effectively to customers through their words and deeds? Clear purpose & meaning – This is why your company exists – often referred to as a mission statement. If you don’t have one, you should. Remember: you can’t be all things to all people. Understand why your company is different from the competition and share this unique value proposition with employees and customers. Organizational vision – If you don’t share your company’s vision, how can staff possibly achieve it? Your organization’s vision is about the future, where you want your company to be in 5 or 10 years. If your employees don’t see what you see, how will they help you get there? Motivated people – Just think about how clarity and commitment can act as a powerful motivation for employees. You want to empower them so they can truly represent the company’s values and help accomplish your goals and objectives – even when you’re not there. It requires trust, but it also fosters it. Embracing change – In any business, as in life, change is inevitable. With today’s emerging technologies, the pace of change has escalated to breakneck speed. We must adapt and find new ways to communicate and share our mission, vision and values – and that includes communicating this to new staff. A pioneer mentality – Be willing to try new things and put down stakes into uncharted territory. Investigate new ideas and, be open to executing ideas brought to you by your staff. Remember, it’s good to tell your employees what the company’s vision is; it’s even better if they own it. Online retailer Zappos (which was acquired by Amazon in 2009 for around $1 billion) famously promotes its corporate culture throughout all layers of its business. The company weighs half of job interviews on corporate culture, offers to pay employees to leave after the first week of training if they don’t feel the job is right, and dedicates portions of budgets to culture and team building. The company’s ten core values2 are instilled in every employee. This is because companies that manage their corporate culture and reputation consistently outperform those that do not. You may not be able to go to the lengths of a billion-dollar company like Zappos, but it’s important to recognize that your company has a culture, and whether you like it or not, your employees project that culture to your customers. Remember, you can’t be everywhere at once. Many corporations focus on banner or brand as a means to create customer loyalty. I would argue that an engaged employee culture is significantly more effective in creating a loyal customer following. In addition to the tremendous cost savings of supporting a banner or brand, businesses that focus on developing and nurturing strong business cultures are far more likely to attract and retain better employee talent which leads to better customer experiences. Don’t believe me? Ask yourself why you support the various retailers in your community. I bet your connection is largely related to the customer experience and not the banner or brand on top of the store. Great customer experiences start with effective employee cultures. A customer that becomes an advocate for your business is the pinnacle of success and is born from a great business culture.